Looking for a reason to leave the city and head to the Olympic Peninsula? How about a bike ride on the Olympic Discovery Trail? The Olympic Discovery Trail currently stretches from the Jamestown S’Kallam Tribal Center in Blyn (about 6 miles south of Sequim) to Ediz Hook in Port Angeles. Much of it follows an old railroad route. It runs between Highway 101 and Sequim Bay and alongside the Strait of Juan de Fuca in Port Angeles. In the future, this trail will stretch from Port Townsend to the coast of Washington by La Push. 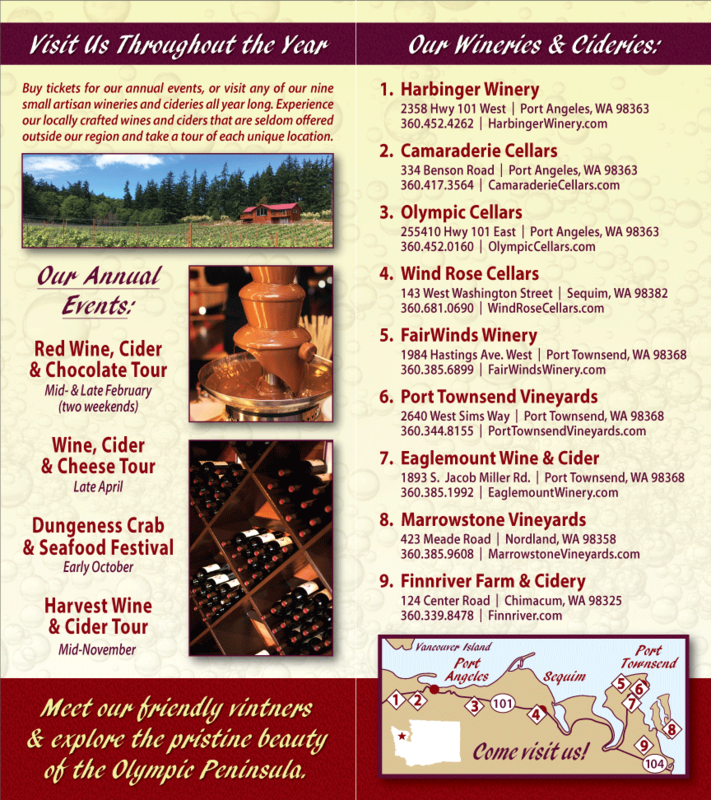 Washington State Wineries of the Olympic Peninsula support the completion of Olympic Discovery Trail. It provides a safe alternative to road biking, while connecting many communities on the north Olympic Peninsula. Biking the Olympic Discovery Trail is fun any time of year, on your own or with friends. It is also a great way to travel between the Washington State Wineries of the north Olympic Peninsula. One day it will be possible to wine taste in Port Townsend, hop on your bike and take the trail to Sequim and then Port Angeles for more wine tasting. Right now, one can at least ride out to Olympic Cellars from downtown Sequim, and then on into Port Angeles, where Harbinger Winery, Camaraderie Cellars, and Black Diamond Winery await. Ride the Olympic Discovery Trail between Blyn and Port Angeles. After all, the only thing more pleasant than sipping wine while you rest during a bike ride is finding a bottle of Washington State wine to enjoy in the evening, after the bike has been garaged for the night. Please see the Olympic Discovery Trail website for more information about the trail.